We've all been there. Never-ending to-do lists. Late nights and early mornings in front of the computer. Never feeling caught up. Even missing out on other parts of our lives. Stacie will take you through 5 days of new habits. Each day is designed to help you conquer your workload and fortify against backslide. She'll coach you to reduce the stress of your workload, be more intentional with your time, and to get more done. 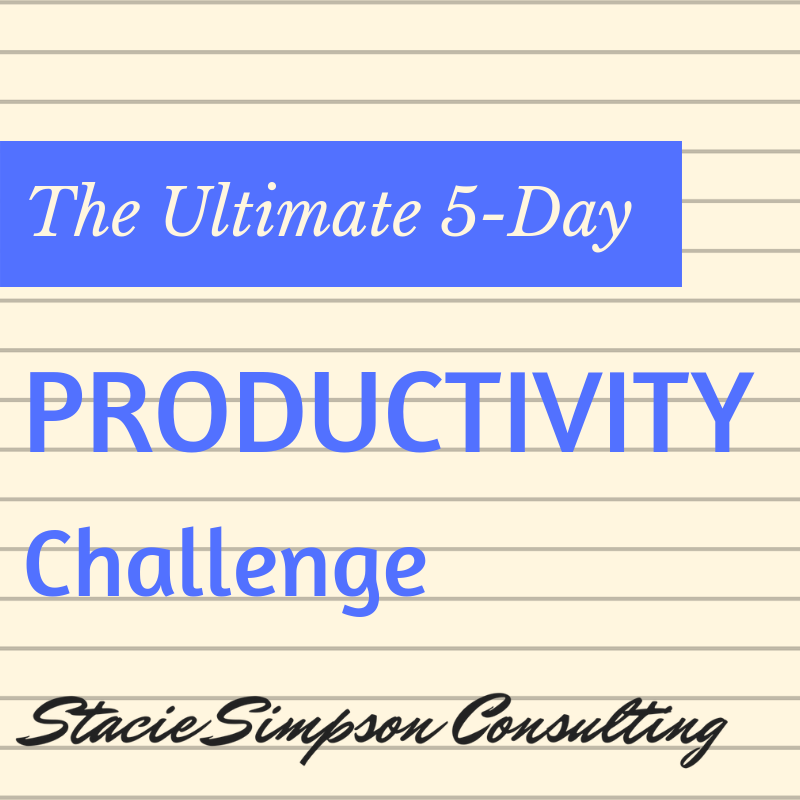 Receive five consecutive days of challenges to whip your productivity into shape. Take it step by step to shift your habits and habitat into ones that will bring you relief, knowing that your goals are on track at the end of the day. Your first challenge is on its way to your inbox! Check there in just a couple minutes.